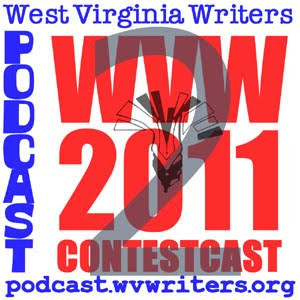 We're now at the half-way mark for the 2011 WV Writers Annual Writing Contest. (DEADLINE March 14, LATE DEADLINE March 31 with $2 late fee per entry.) Therefore it's time for Part 2 of ContestCast 2011. Joining us to give us an update on this year's contest will be Contest Coordinator and WVW 1st VP Teresa Newsome. And joining us to help answer your Frequenly Asked Questions about the contest will be Coordinator Emeritus Steve Goff. Way back in June, we put out a call for our listeners to submit Dear City Letters to help drum up some publicity for National Public Radio's State of the Re:Union paying a visit to our state. 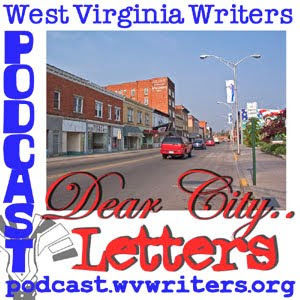 With the Dear City letters, people were invited to write a letter to their city, expressing love, anger, frustration, humor and beyond, addressing the likes and dislikes or breaking misconceptions. We passed the letters we received on to NPR. This podcast is our chance to finally play them.